Since 2015 Our Heroes Fund has been providing support for 1st responders in need. From our world class training event, ( The Ct Swat Challenge) to our Hero of The Month contribution we are committed to helping those who serve. Last summer we had our 1st Help a Hero night honoring a Hartford Officer who had been injured in the line of duty. With the support of the public and local business we were able to raise over $10,000 for our hero in need. 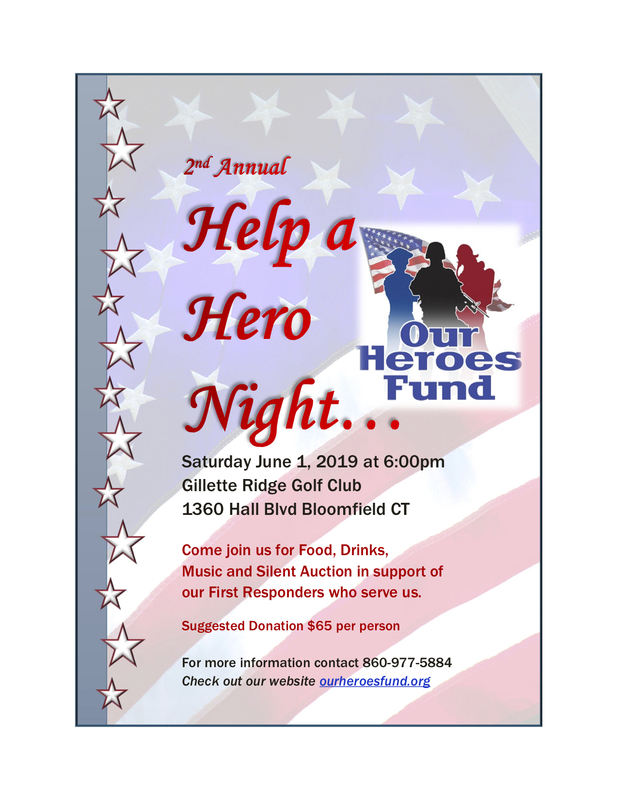 Please join us again this June 1 in Bloomfield for our 2nd annual Help a Hero Night. Enjoy an evening of food and entertainment. Come and be a part of the community that supports those who run to danger and not away from it….Be a Hero…..see you there.